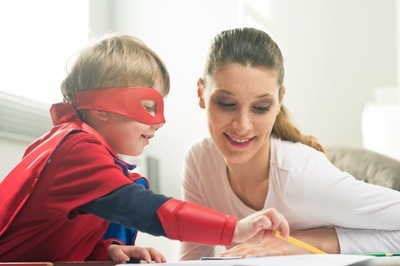 A French Governess who is native to the language, has the necessary qualifications and skills for teaching children in French and is responsible for daily communication with them in French. French Governesses have always been in high demand. Thanks to their educational and cultural background, for centuries, the wealthy English, Russian and other families have regularly employed French governesses to educate and care for their children. French grounding is well known all over the world. This upbringing is considered as one of the most sought-after, as it allows to form not only a disciplined and well- educated child, but an independent, strong and responsible person. The secret of a French Governess is their ability to combine strictness with friendliness in a well-balanced manner. The French Governess also has the ability to set boundaries and convince the child unobtrusively to make the right choices. The child is therefore taught to analyse and make independent decisions. If you reside outside of France, a French Governess then gives your child the opportunity to learn French from a native speaker. In countries such as Russia, the UAE, Qatar, Saudi Arabia, et cetera, which are neither English nor French speaking, it is already extremely popular that families employ French or English Governesses for their children who then only communicate with them in French or English. If you would like your children to pursue further education in the best Schools & Colleges of France or Switzerland, it would be advisable for you to employ a French Governess from an early age enabling your children to be bilingual and well mannered. This will make it possible for you to take care of your business, knowing that your child is receiving the best European grounding and education. This of course being very beneficial to your children. Feel free to contact our agencies should you be interested in hiring a highly professional French Governess for the best grounding for your child. Looking for a French Governess position?